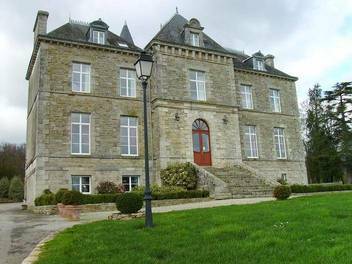 Charming hotel in Brittany, Château de la Ferrière is a 3 star hotel located in the middle of a large park dotted with centenary trees and a pond. The hotel has a swimming pool, a traditional restaurant.Domaine de la Ferrière is the ideal setting for your holidays in Brittany, the reception of groups, seminars, study days, weddings (maximum 50 people) and receptions or business meals.By booking your room directly with us, you will be assured of the best available rate. It is also the guarantee of a professional welcome adapted to your requests. Without intermediaries, we are in the best position to ensure that your particular requests are feasible, and realized!